We'll start our tour in the northwest corner of Georgia. Our nation's first National Military Park, established in 1890, honors the Civil War soldiers who fought for control of Chattanooga at the Battle of Chickamauga in September, 1863. The park consists of over 8,200 acres spread over the Georgia/Tennessee border. Chickamauga was considered the last major Confederate victory in the Western Theater. Major General William S. Rosecrans, Union, and Lt. General James Longstreet, Confederacy, were the leaders of this battle. Rosecrans was warned of a gap in his lines, and, in hastening to close it, he created another. Longstreet's men promptly exploited it driving one-third of the Union Army, including Rosecrans, out of the field. 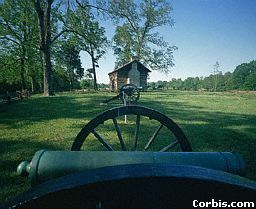 The Battle of Chickamauga was the bloodiest two-day battle of the Civil War. 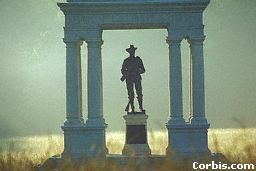 18,000 Confederate and 16,000 Union solders were lost. Chickamauga is a Cherokee word meaning "River of Blood." Certainly fitting for this battle. 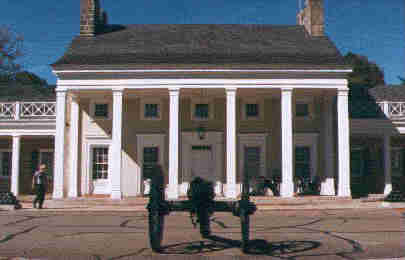 This is the park headquarters. 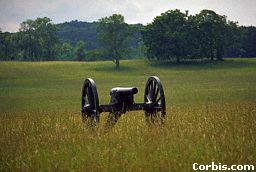 Park rangers fill visitors in on the history of the battle. 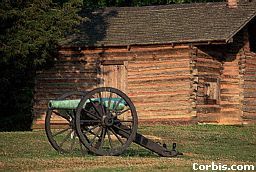 It is located in Ft. Oglethorpe, GA.
We're going for a very short drive to the center of the picturesque town of Chickamauga. 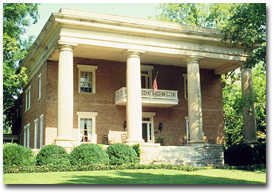 The Gordon-Lee Mansion was the only structure left standing after the Battle of Chickamauga. 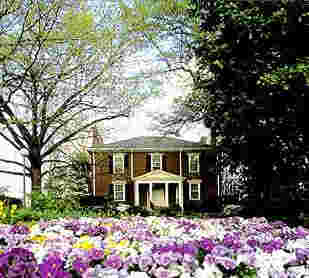 The mansion was built by James Gordon. After the removal of the Cherokees during the Trail of Tears, it served as the seat for local government. Today, it is a bed and breakfast. 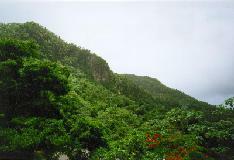 Proclaimed a National Forest in 1936, the land was purchased by the U. S. Forest Service for $7 an acre. The land that makes up Georgia's beautiful National Forests was once land nobody wanted. 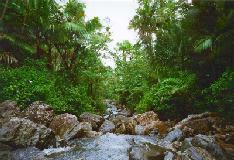 The early history of Georgia was abuse and overuse of the fragile ecosystems. 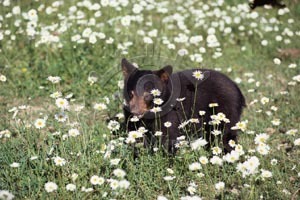 In 1970, the bear population totalled 106. 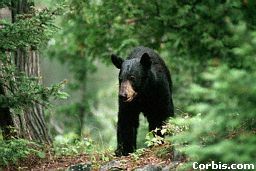 After twenty years of continually managing the habitat, the Chattahoochee now has a healthy bear population of 650. Athens is a prospering community. 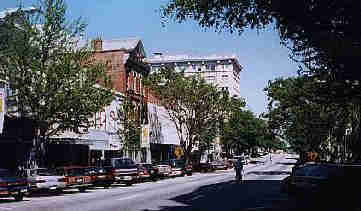 It reflects the charm of the Old South while developing in cultural and industrial areas. Looks like a rainy day in Georgia. 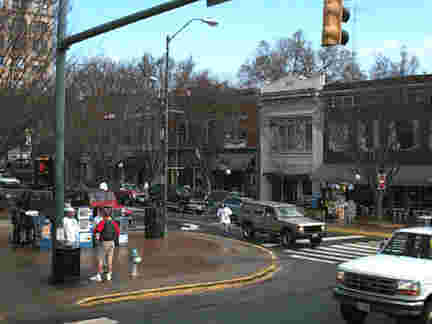 Athens is located approximately 70 miles northeast of Atlanta and is the heart of a three-county metropolitan area of about 126,000 people. 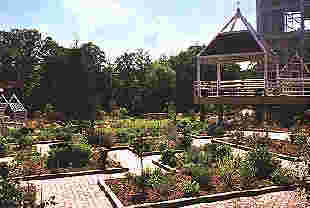 This is the State Botanical Garden located just off campus of the University of Georgia. Speaking of that, let's take a ride around the campus. Meet UGA, the mascot for the University of Georgia. He's going to be our guide today. Let's go, UGA! We're all eager to see where you live. 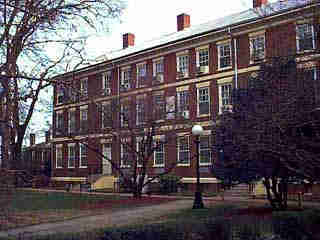 This is Lustrat House where the President of the University has his office. 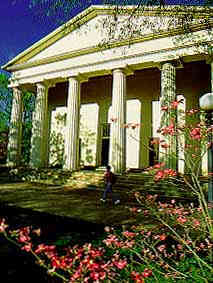 The University of Georgia is the oldest, most diversified institution of learning in Georgia. It educates 30,000 students. 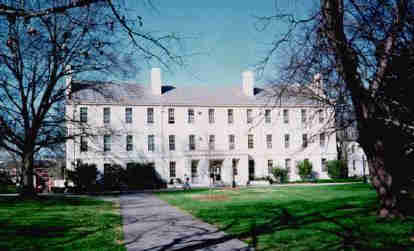 This is one of the original university buildings. And here we have one of the new buildings. I don't know about you, but I think I like the older buildings best. Here is the Chapel. Quite an impressive building, isn't it? I think UGA wants us to see where he hangs out a lot of the time. 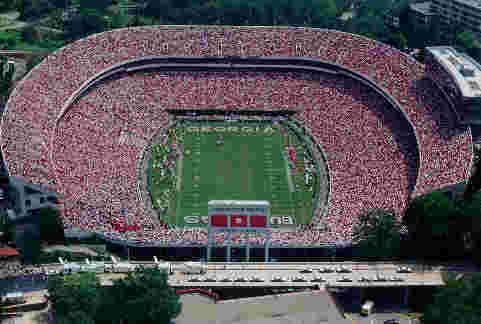 This is Sanford Stadium, home of the University of Georgia Bulldogs. Well, folks, it's time to move along. We're going to take you to a place that you'll find hard to believe is in Georgia! If you'll just click on the license plate, we'll be there.